The blogging world always takes a really positive turn come December, focusing on the highs of the Christmas period. And this is cool, I love Christmas just as much as the next person. But today I want to take a moment or two to cover a more serious yet really important topic: mental health during the festive season. It is important to remember that mental health problems don't just switch off when the Christmas lights are switched on. Many, if not all, people who have an ongoing (or previous) battle with mental health still struggle and have bad days over the holiday period. On top of this, when Christmas comes around daily routines can be thrown all over the place which can have a huge impact. Way too often at Christmas people think "but it's Christmas, I should be happy". Yes it's Christmas, but at the end of the day it's just another day; don't pressure yourself. Christmas is portrayed as a time of giving; a time to focus on others. And by all means do that - personally giving gifts and spreading joy really boosts my mood - but don't forget about yourself. 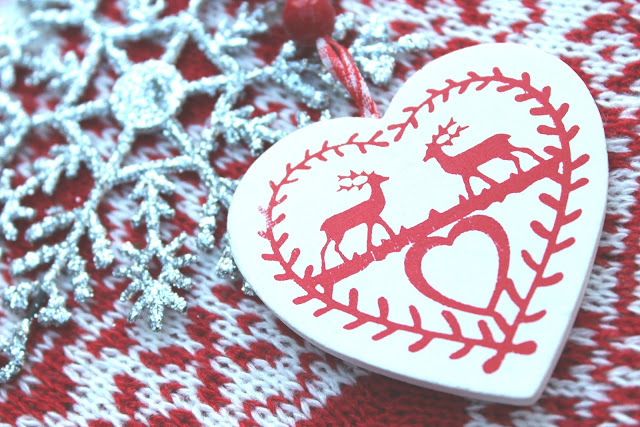 It is important to still make time during the festive period for self-care, so I've compiled a list of twelve ways to practice self-care this Christmas. It's well known that exercise can improve your mood but we're not just talking 5k runs and hours upon end in the gym. Simply wrapping up warm and taking yourself out for a brisk walk can really contribute to a clearer happier mind. Create a playlist of your favourite songs and go and explore your local area at your own pace. There's something really special for me about winter walks; it's my favourite thing to do when the hustle and bustle of the festive period is getting a bit much. Reading is a wonderful way to practise self-care as it can work in a manner of ways - as a distraction; as a source of comfort; the list is endless. Find a genre or author that you really feel a connection with and settle down to read. I'm really into YA fiction (young adult fiction to all you non-bookworms) as it obviously has a younger target age than myself so it is a much easier read that is a perfect fit for those times when you can't really get your head in gear. One of my current favourite stories to sink my teeth into is Sometimes It Happens by Lauren Barnholdt. During the winter months one of my favourite self-care practices is lighting a festive candle in my bedroom. I find it gives my room a lovely comforting and homely feel which really helps to make me feel better. Last week I published a post featuring my favourite festive candles, which you can find here. I live in line with the moto that 'a good bath solves everything'. There is nothing better than relaxing in a warm bath, especially when there's a lovely scented bath product involved. I like to stockpile some of the Lush festive products during December, ready for those moments where I just need to give myself a little bit of TLC. You could even light a christmas candle and put on some relaxing festive music to really extenuate the peaceful vibe. This is especially handy if within your Christmas presents you were lucky enough to receive new additions to your wardrobe. I like to remember the moto 'a clear space creates a clear mind'. Not only does a bit of organising distract your mind from itself, it also enables you to create a clean safe haven that can be really helpful when you're not at your best. I sometimes find myself retreating to my bedroom for a short while when things get too much over the Christmas period (and this is ok, people do understand) and it definitely helps if my room is a clutter-free environment. 6. Do some colouring in. Mindfulness colouring is all the range at the moment and it can be so helpful. I actually find myself often using the media of wax crayons when colouring. This is simply because I find that when I'm particularly anxious the noise of a pencil can be rather harsh and unwanted. It's definitely something to try if you yourself like using art as a form of self-care. When life is getting a bit overwhelming it can be really helpful to write a to-do list (I find making it pretty always helps). Life can be busy and overwhelming as we rush towards the end of the year, but list writing can make everything a little more manageable. It's worth putting things on the list in little steps, such as breaking down a big job such as a blog post into little steps for example; plan, photograph, write, edit. Little steps means that you cross things off a little bit quicker which is really satisfying and really drums in the fact that you've got this. 8. Cozy up in a blanket. Nothing beats snuggling up in a big cozy blanket when you're not 100%. I've been doing lots of research recently into weighted blankets, which can really contribute to you feeling safe and secure. These can be a little expensive however so don't forget that even your run of the mill fluffy blanket can do the trick. Be it your favourite artist, album or a compilation playlist; the choice is yours. Obviously at this time a year a good choice would be something Christmassy. Festive album-wise I personally love 'Christmas, With Love' by Leona Lewis, 'Wrapped In Red' by Kelly Clarkson and both Elvis Presley Christmas albums - "Elvis' Christmas Album" and "Elvis Sings The Wonderful World of Christmas". All of these albums tend to leave me really relaxed. I know most people tend to promote self-care activities which are completely screen-less, but personally I find pinterest to be a really valuable self-care tool for me. There's something magical about scrolling through endless aesthetically pleasing pictures and quotes, it almost always brightens up my mood. Christmas is a time for kindness, and the most important person to be kind to is yourself. Even during this hectic time of year remember to make time for self-care. How do you practise self-care during the festive season? What a fabulously thoughtful post and some truly amazing ideas! These would help a lot of people. ive been having a very VERY up and down christmas this year and kept saying to myself exacltly that - 'but its christmas, i should be happy!'. very important to remember that the time of the year doesnt matter at all and to stop putting pressure on yourself. here here! ive definitely lost myself in readinfg this month, have got through 6 novels since the 10th december haha. will add that lauren barnholdt book to my reading list!